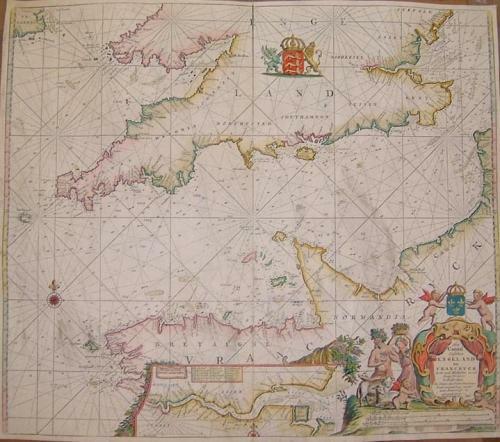 An attractive chart of the English Channel with a decorative cartouch and an inset of the River Thames. Rhum lines and depth measurements with sandbanks are all part of the nautical information presented. The chart is in good condition having been rebacked to cover some paper thinning.